Pixar Fest is in full swing at the Disneyland Resort with some great entertainment and can’t miss merchandise. For many folks though, Disneyland is all about the food, and Pixar Fest doesn’t disappoint. The Disneyland Resort chefs had come up with some fun (and delicious) new treats to celebrate your Pixar pals throughout both parks! 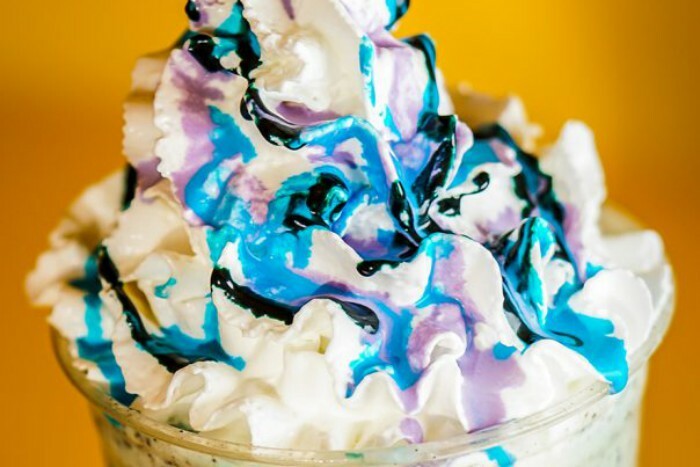 At Disneyland Park, the Main Street Coffee Car has a Frozen Grape Soda Slush inspired by Up. This is also the location for specialty donuts, including one featuring Up‘s iconic balloons and Russell’s Wilderness Explorer sash. Down the street at Gibson Girl Ice Cream Parlor, taste the Salted Caramel Butter Pecan Sundae, with butter pecan and chocolate ice cream, topped with salted caramel sauce, whipped cream, and candied pecans. The Up theme continues at the Jolly Holiday Bakery Cafe where Chocolate-Hazelnut Pastries and Specialty Eclairs both feature images from Up, including Carl Fredricksen and Russell’s badges. Nearby at Refreshment Corner, they have a new Pastrami Dog, topped with pastrami, sauerkraut, special sauce, a dill pickle spear and chives. Plaza Inn is one of the spots where you’ll find the iconic Pixar-Lemon Raspberry Cake, with layers of lemon, blue vanilla, and red velvet sponge cake with raspberry puree and cream cheese frosting. If you’re looking for something more substantial on Main Street USA, stop by Carnation Cafe. For lunch, you might want to try the Fried Bologna Sandwich, with pan-seared bologna, aioli, pickles, lettuce, and tomato, all served on toasted Pullman bread. 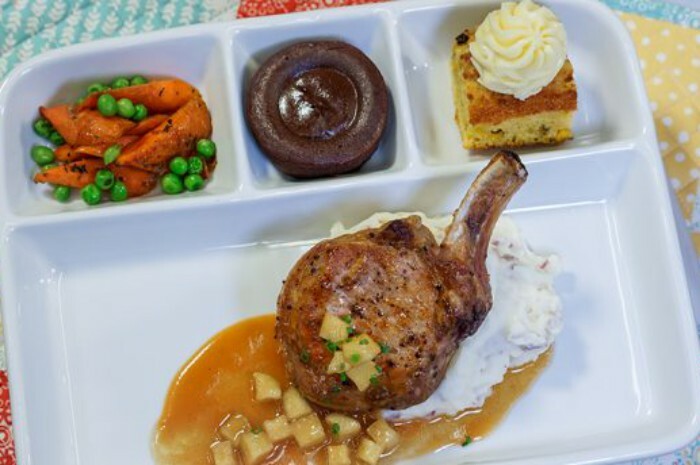 They’re also serving a Pork Chop Dinner with a spiced apple pork chop, mashed potatoes, peas and carrots, and a corn muffin, plus a molten lava cake for dessert. Over in Frontierland, step up to the Stage Door Cafe for the Toy Story-inspired Berry Funnel Cake, topped with blueberries, strawberries, chocolate cookie crumbles, creme anglaise, white chocolate, and gold-dusted whipped cream. Rancho del Zocalo is celebrating Coco with two new dishes. 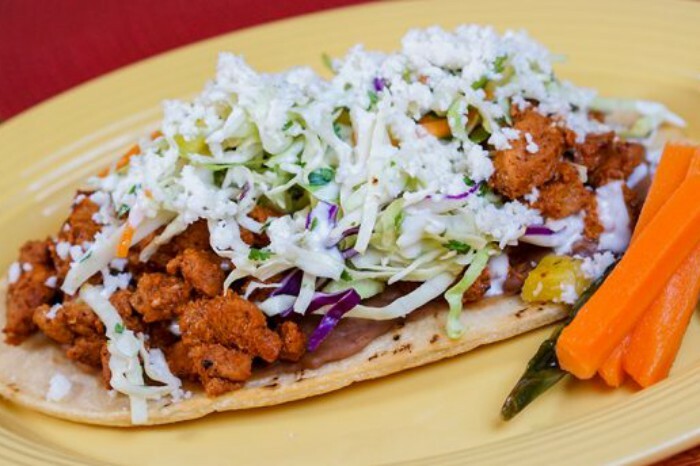 The Al Pastor Huarache includes refried beans, al pastor-marinated pork, pineapple slaw, pasilla pepper crema, Mexican crema, and queso fresco. For something sweet, try the Mexican Chocolate Pot de Creme. The chefs at Cafe Orleans in New Orleans Square have created a Ratatouille-inspired three-course meal. 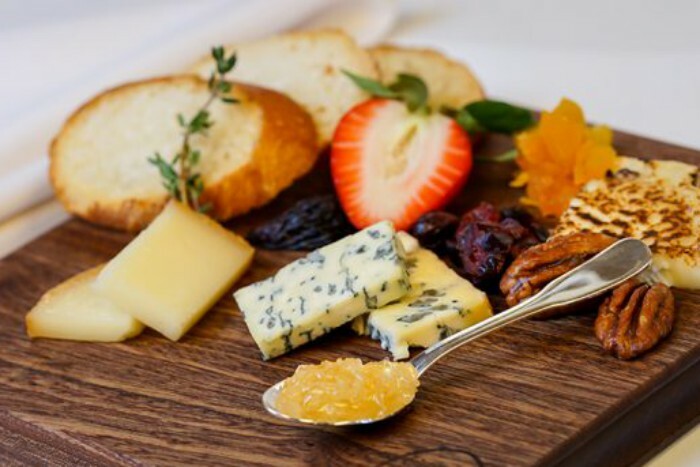 Start with a cheese flight that features three different cheeses, dried fruit and honeycomb. 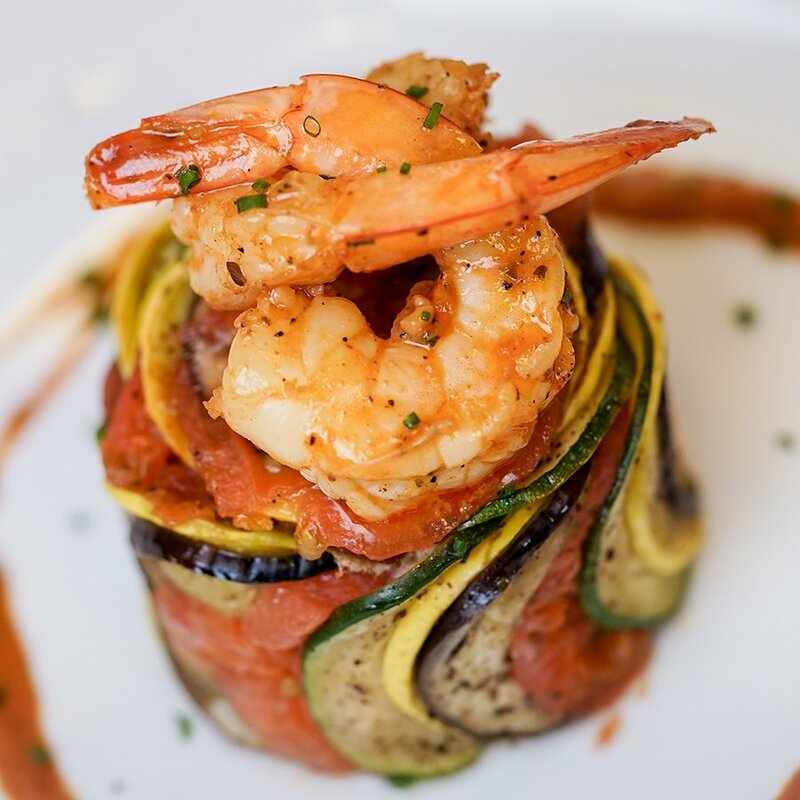 The entree is Shrimp Ratatouille Byaldi with layered roasted zucchini, yellow squash, eggplant, and tomato, all topped with shrimp. For dessert, indulge in the Berry-Stuffed Beignets a la Mode with a sweet brie drizzle and mascarpone. 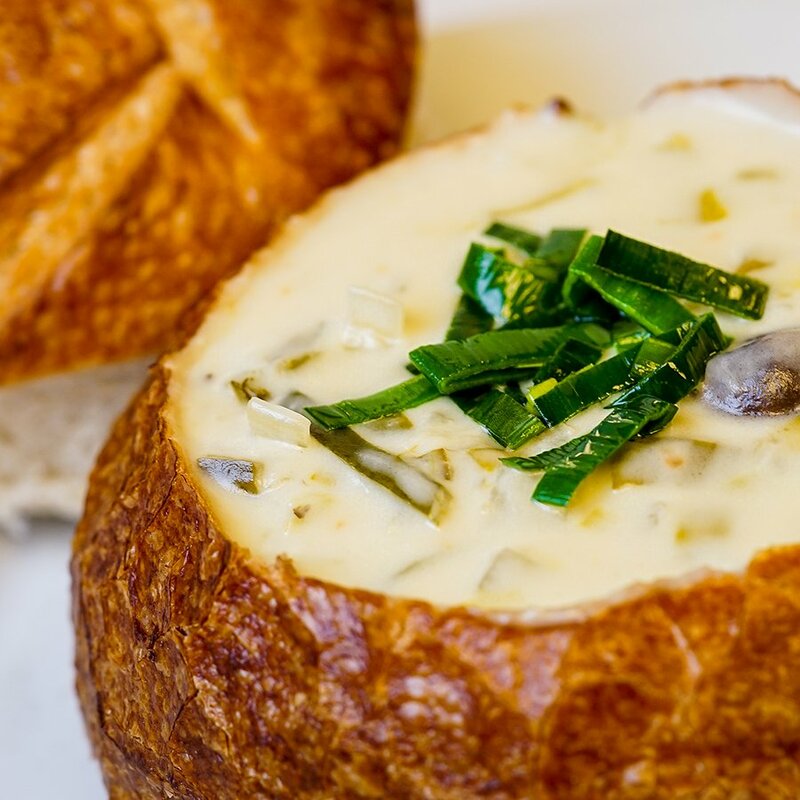 Nearby, the Royal Street Veranda is ladling up Potato-Leek Soup. Jumping over to Critter Country, the Hungry Bear Restaurant has a Strawberry Funnel Cake inspired by Buttercup, the unicorn from Toy Story 3. The dessert includes strawberry-cherry topping, strawberry butter, and streusel, with a spiced syrup drizzle. Over in Tomorrowland, the little green aliens from Toy Story have taken over Redd Rocket’s Pizza Port. 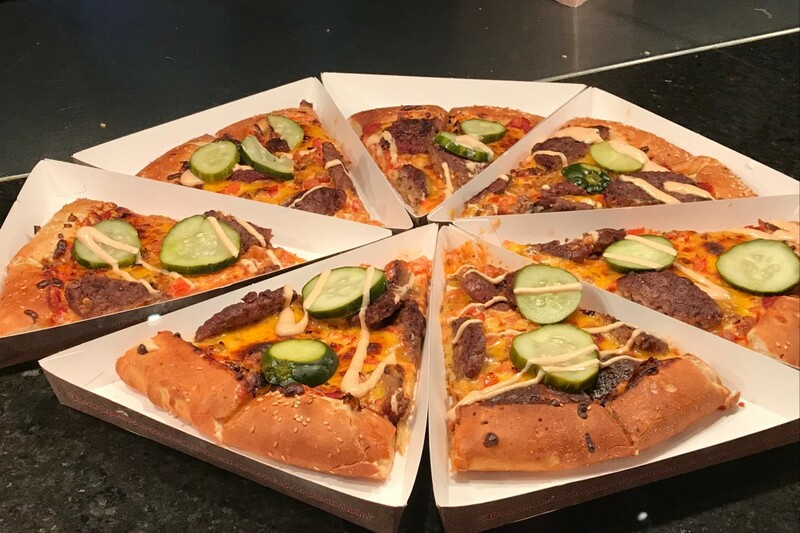 The result, Alien Pizza Planet, still includes some of your favorite dishes, but the aliens have brought in some of their favorite dishes as well. 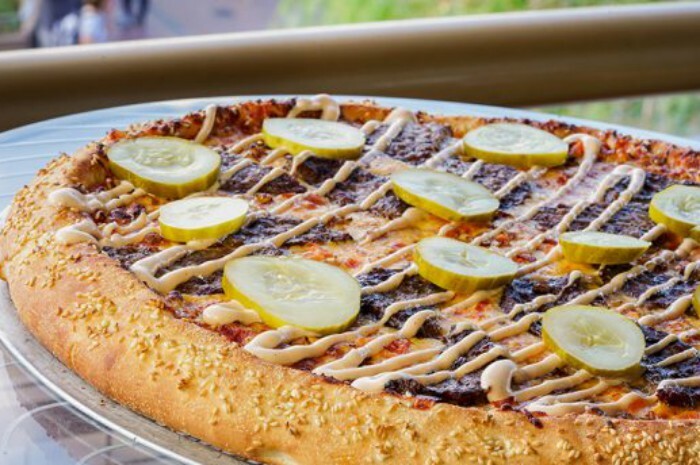 The Cheeseburger Pizza features ketchup, mustard, and pizza sauce on a sesame seed crust, topped with American and Cheddar cheese, caramelized onions, diced tomatoes, slider patties, pickles, and a drizzle of house-made burger sauce. 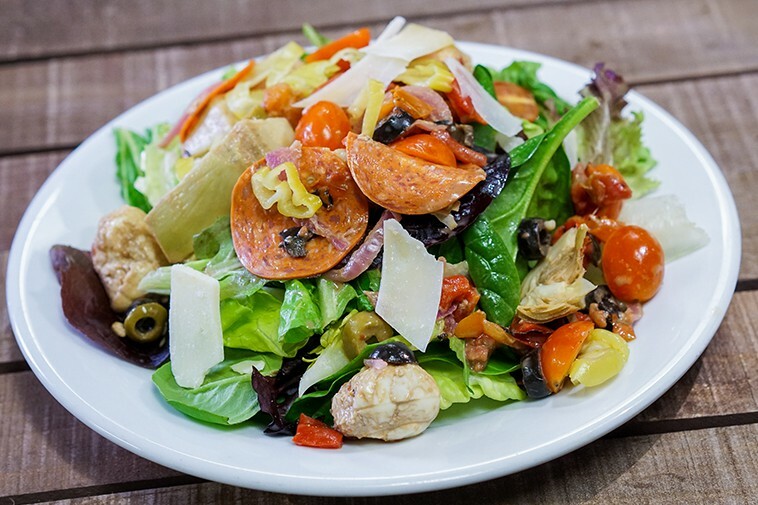 Over at the salad station, the Antipasto Salad includes crisp lettuce topped with pepperoni, tomatoes, mixed olives, pepperoncini, fresh mozzarella, roasted red peppers, and roasted red onions, with a balsamic vinaigrette. The Edamame-Noodle Salad has grilled chicken breast over marinated edamame, sweet green beans, mint, cilantro, red cabbage, shredded carrot, and cold soba noodles tossed with a ginger-lime vinaigrette. 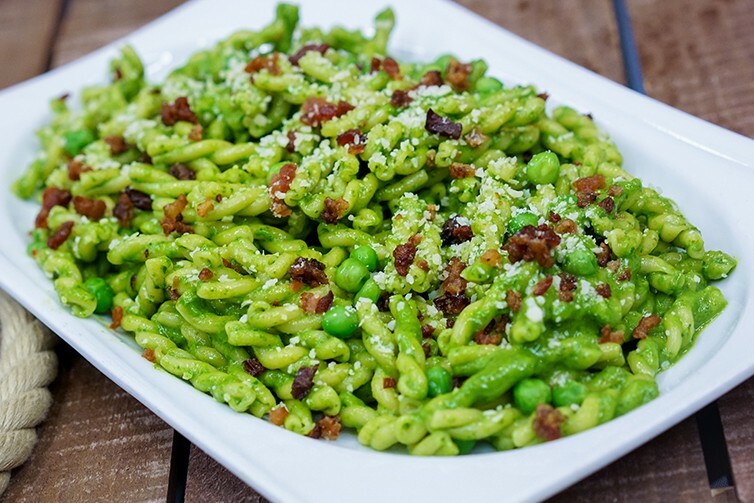 The new Pesto Pasta features gemelli pasta tossed with spinach and miso pesto, with smoky bacon, sweet peas, and parmesan. 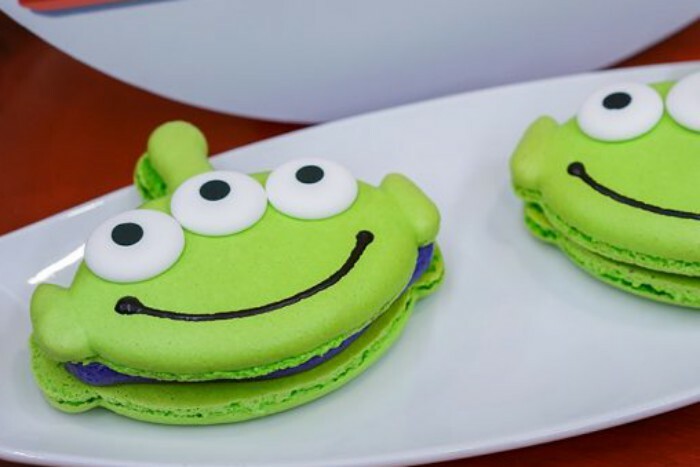 For dessert at Pizza Planet, try the Strawberry and Sour Apples Slushes, the Blackberry-Lime Parfait, or share a little green alien Macaron. If you just want something quick, the outdoor vending and churro carts in Disneyland Park have you covered! Several carts will have the Finding Nemo-inspired orange-vanilla Cotton Candy. At both the Town Square Churro Cart and the Churro Cart near Sleeping Beauty Castle, grab the Lemon Churros with lemon sugar and multi-colored fruit cereal. In Tomorrowland, the Churro Cart will have a Strawberry Churro with strawberry sugar. 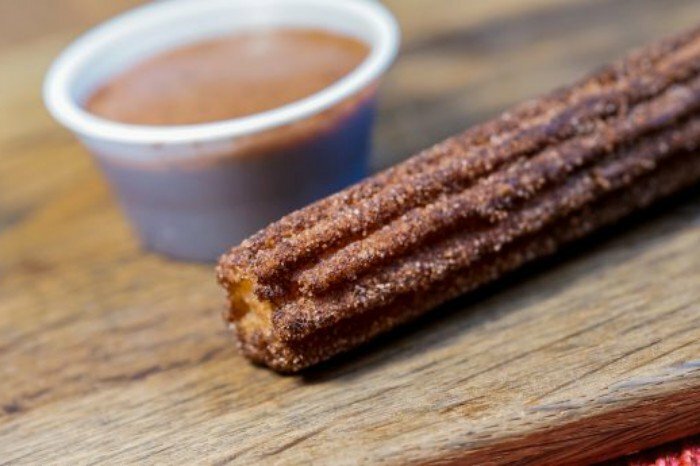 Frontierland’s Churro Car will serve a Cocoa Churro with chocolate powder, salted cinnamon sugar, and a Mexican chocolate dipping sauce. Also in Frontierland, the Pretzel Cart will have a Cinnamon Pretzel. 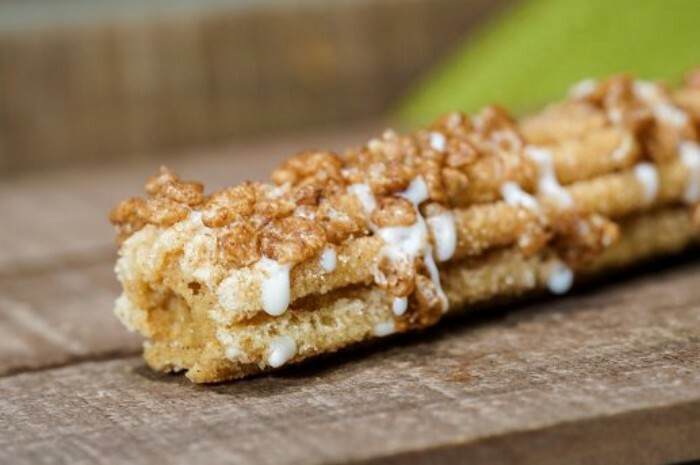 New at the New Orleans Square Churro Cart is the Carrot Cake Churro rolled in cinnamon sugar with a raisin-carrot cream cheese frosting. Moving over to Disney California Adventure, Schmoozies in Hollywood Land has several new Monsters, Inc.-inspired treats, including a Mint Chip Shake, Whoopie Pies, and a Marshmallow Donut. Down the street at Award Wieners, try the Pulled Pork Dog, topped with pulled pork, spicy teriyaki sauce, and fresh pineapple salsa. The Churro Cart in A Bug’s Land is making an Iced Specialty Churro that’s drizzled with doughnut icing and sprinkled with cocoa cereal. 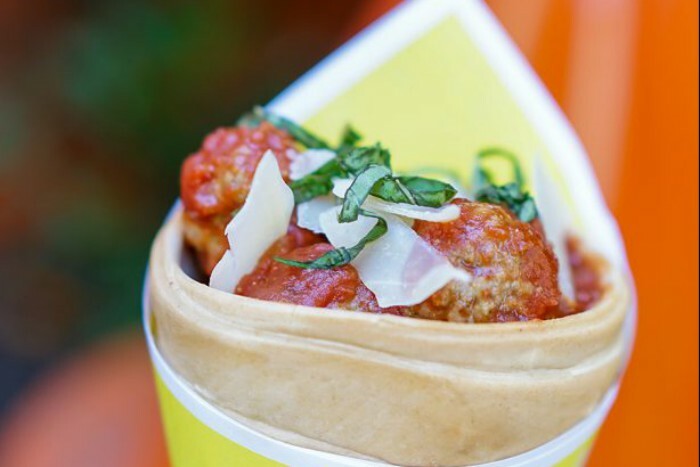 At the Cozy Cone Motel in Cars Land, grab the new Habanero Meatball Cone with turkey meatballs in a habanero sauce with a cheese crisp and spiral pasta. You can also try the Champions Corn with flavored mayonnaise, cotija cheese, chile-lime spice, and lime. 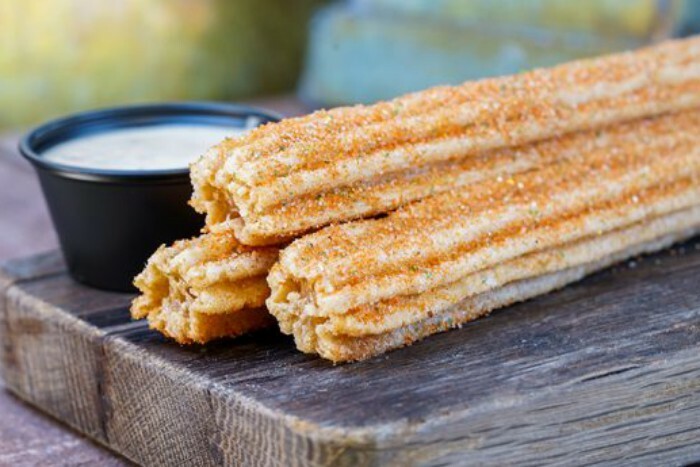 For dessert at the Cozy Cone, get a churro themed to your favorite racer: yellow for Cruz, red for McQueen, or blue for Storm. If you need a snack at the Pacific Wharf, grab some bread shaped like Mike Wazaowski. 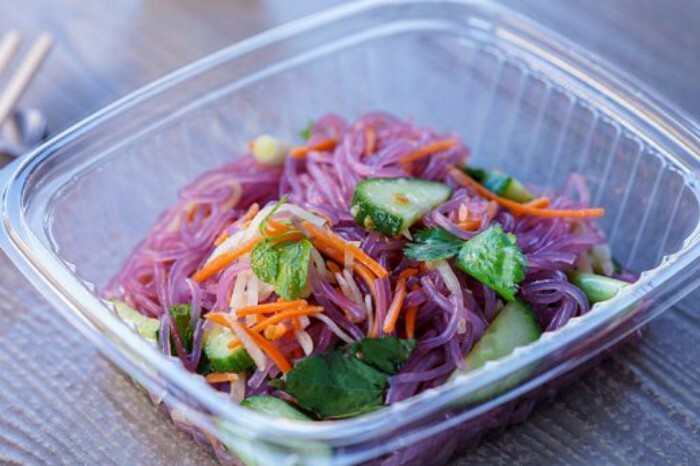 For something more savory, try the Chilled Noodle Salad at the Lucky Fortune Cookery. The iridescent noodles are served with herbaceous preserved plants, sweet and spicy vinaigrette, toasted peanuts, mint, Thai basil, shredded daikon, and carrots. Get dessert across at Cocina Cucamonga, where they’re serving a Tres Leches Parfait with layers of vanilla cake, sweet caramel cream, and rum. Head down to the Corn Dog Castle for an Spicy Corn Dog inspired by The Incredibles. 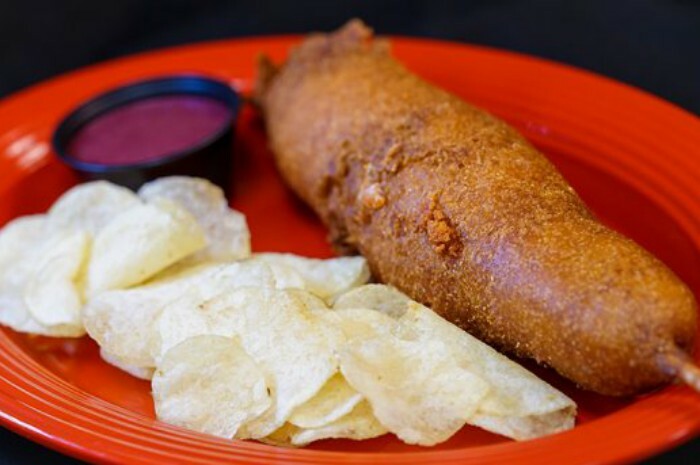 The chefs have taken two different sausages, a hot link and a Cajun chicken sausage, and put them together with pepper jack cheese, then dipped them in corn dog batter and fried them to an incredible golden brown, then served them with a sweet and spicy blackberry-serrano chili sauce. Finally, throughout California Adventure you’ll find new Sour Lemon Cotton Candy. 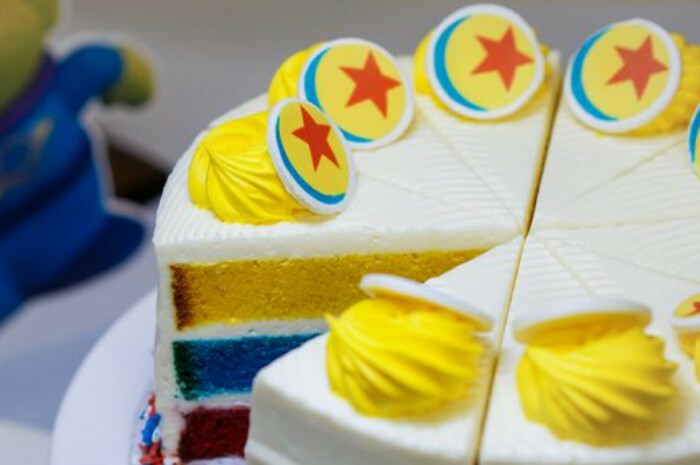 At a recent event, I got a chance to chat with Zach, one of the chefs at the Disneyland Resort, who talked about some of these Pixar Fest-inspired food items, plus some of the treats being made in the resort’s candy kitchens. Pixar Fest continues through September 3rd!